In this part of the world, one thing holds true: basketball never stops. The sport is often depicted in documentaries or books as an escape from the realities of life. People would celebrate loudly, and proudly, when Gilas would win. Snuggled in between those moments of success, were tears, frustration, and a whole lot of cussing. It was a rollercoaster ride. And ever since the fallout from the incident against Australia July last year, no one was sure if the ride was still fun. All of the sacrifices of the national team boiled down to one game. Last February 24, as Gilas Pilipinas was set to face Kazakhstan in Astana. There were plenty of technicalities involved coming into the game, but really, it all came down to four words: win or go home. Just this once, against Kazakhstan, Filipino fans wanted a fun ride. Whatever the out come, World Cup or not, that will be figured out later on. Even the most powerful of figures can succumb to the tension. 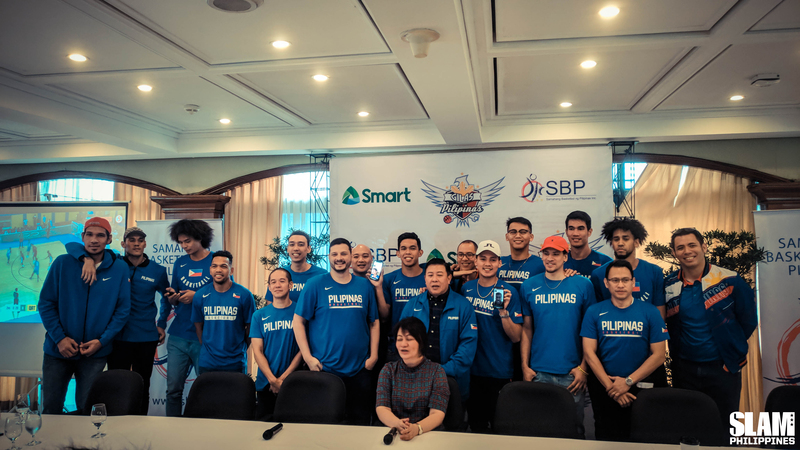 He may be the best powerful figure in the top professional league in the country, but in the days leading to the Kazakhstan game, PBA Commissioner Willie Marcial was a just another Gilas fan like everyone else. “Manalo tayo ha,” he kept on repeating to Coach Yeng Guiao coming into the game versus Kazakhstan. It was simple, and even someone as mighty as the PBA Commissioner knew what was at stake. The whole country knew it. Lose this game, and there would be more complicated things to figure out after. It hadn’t been an easy few months for Coach Yeng. From being hailed as a hero after a promising Asian Games stint, his doubters suddenly had all the ammo in the world after a disappointing performance in the fifth window of the Asian Qualifiers. He could have been the first to fold under the pressure. 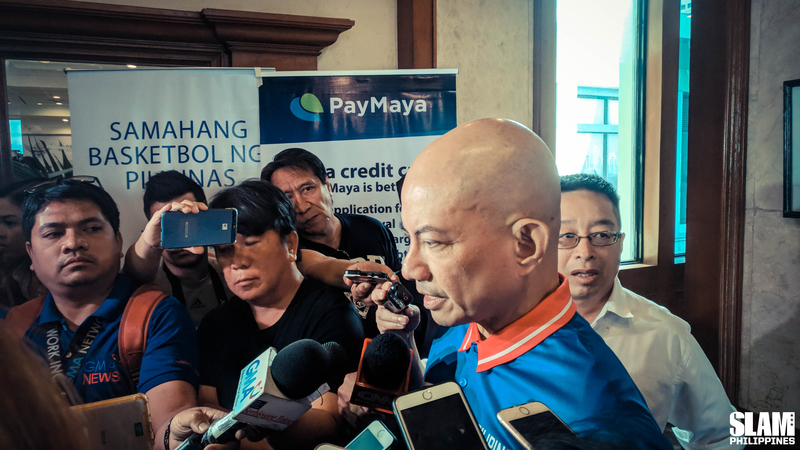 “Wag ka masyado nerbyoso, mananalo tayo,” he confidently told Commissioner Willie. But even with his confidence, Coach Yeng and his team didn’t have full control of the situation. The fans could only sit back and hope for the best. It was all they could hold on to in that moment; hope that all would fall according to place for the Philippines. The home and away format had been a mixed bag for Gilas. Playing in front of the home crowd was a different experience altogether as described by team captain Gabe Norwood. The joy of beating Japan at home in the clutch was unlike any other. Having to endure the controversy of Bulacan in July, and watching three after three fall against their way versus Kazakhstan in Pasay was soul crushing. At the very least, they had their countrymen there, in victory and in defeat. This time around, with their World Cup bid on the line, they wouldn’t be playing in front of their kababayans. The environment they were set to face was different from what they were used to. The temperature when they landed: minus-16 degrees celsius. They were already way out of their comfort zone. 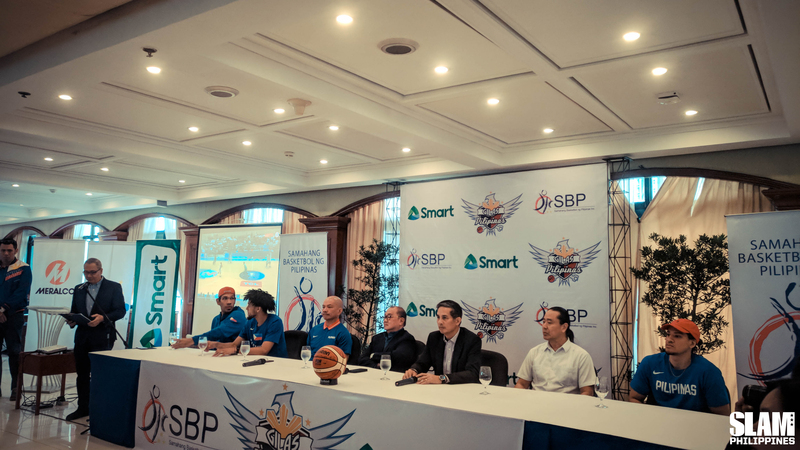 “This was a bit more challenging, travelling to different countries, the adversity we had to go through,” mentioned National Team veteran Marcio Lassiter. “Through all this, nobody was complaining,” said Coach Yeng. They knew the only thing they’d lay their eyes on. “At the end of the day, it was about making it to the World Cup,” said Marcio. It was finally game time. It wouldn’t be a Gilas Pilipinas game without it being a total rollercoaster ride. Andray Blatche started off with his best Steph Curry impersonation during the first quarter. Gilas lost hold of momentum, then grabbed it back moments later. A fan cheered boom tarat tarat, even if only 29 other Pinoys would understand the reference. June Mar Fajardo had another Gilas moment. Jayson Castro turned back the clock. It all felt like a blur. Moment after moment. Up and down. Then things started to fall into place for the Philippines. Korea, despite trailing most of the game, wound up beating Lebanon. Mark Barroca and Norwood texted Ricardo Ratliffe, asking him if he could do them a solid by beating Lebanon. Ratliffe delivered. From the curse of Korea, to the blessing from Korea. With two minutes remaining, the score read 90-73 favoring the Philippines. Despite the large margin separating the two teams, no one wanted to breathe easy. Finish this off, one more dagger. With 1:47 left, off a pass from the fiery Blatche, Paul Lee caught the ball and pulled up with zero hesitation. Swish. The Gilas bench couldn’t help but celebrate the shot. All 30 Filipinos in Kazakhstan waved the flag with utmost pride. There was still more than one minute left, but at that point, it didn’t matter. The Philippines was heading back to the World Cup. Commissioner Willie could now breathe easy. The rest of the country could rejoice. Last Thursday, Gilas held their first press conference since the fateful Kazakhstan game. There were plenty of questions to be answered but these were hopeful questions. How would the Jordan Clarkson situation play out? What about the PBA schedule, how would that be sorted out? How will the training schedule be moving forward? “I think we can have a better idea of that in one or two weeks time,” said Coach Yeng. Coach Yeng, Gabe and Marcio along with June Mar sat comfortably and answered confidently during the presscon. They knew they accomplished their mission. We embrace that basketball never stops. It’s become a 24/7, 365 day sport here in the Philippines. Gilas has been through a lot over these last two years. From the brawl in Bulacan. The hope the Asian Games brought. The heartbreak dealt by Kazakhstan. The joy in Kazakhstan. It was all worth it. A rollercoaster ride unlike any other. But for once, just this once, a break is needed. Marcio put it best. “At the end of the day, it was about making it to the World Cup.” They did make it. Mission accomplished. For now, pause. Gilas Pilipinas will get back to work sooner or later, and the madness will begin once again.